The freezing of running water is another mystery … the struggle between frost and the force in running water is not quickly over. The battle fluctuates, and at the point of fluctuation between the motion in water and the immobility of frost, strange and beautiful forms are evolved. Nan Shepherd, The Living Mountain. Today I’m going to tell you a story so bizarre that when I read about it on the Indian site The Sunday Guardian, I thought it must be fake news. But after some rigorous Googling, I discovered that not only is it true, it’s not even so remarkable. Even so, it’s a tale worth telling, because it shows how individuals and communities can react to climate change in a way that works in harmony with nature. Chewang Norphel is an 81-year-old civil engineer from Ladakh in North-West India, a mountainous region north of the Himalayan watershed. Snow-capped, rocky peaks rise up to 7,000m, and the valleys are over 3,000m. Winters are extremely cold, and even the rivers freeze. The land is dry desert, but even so, 80% of the population are reliant on agriculture for their livelihood. They are able to do so because of water from the glaciers that are formed high in the mountains, which feed streams and rivers when the ice melts in summer. Pockets of green can be found in the valleys, where irrigation has enabled villagers to grow fields of wheat and barley. In these places poplars rise up and provide the brown landscape with a splash of green. Without the glaciers, the villagers would be unable to maintain their way of life, but climate change has made their survival more fragile. 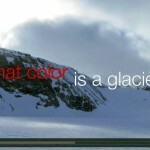 Like everywhere else on planet Earth, the glaciers are receding. While we in the developed world are now taking steps to tackle global warming, it won’t happen quickly enough for remote mountain communities. This was a question on Chewang Norphel’s mind as he sat in his garden one winter in 1987. Chewang’s family were all farmers, but when he was young he had been sent away to get an education. He became a civil engineer, and returned to Ladakh to apply his skills to agriculture. He had been doing so ever since, and if anyone could solve the problem of Ladakh’s shrinking glaciers, he was the man. There was a tap in Chewang’s garden that was set to run permanently, to prevent the water freezing inside the pipe and breaking it. The tap had created a small stream that ran through the garden underneath a poplar tree, where the shade from the tree had caused the water to freeze. Another stream trickled beneath the same tree, but remained in motion without freezing. Chewang was puzzled by this for a few moments, but he quickly realised the reason why one stream had frozen but the other had not was due to speed. The second stream was flowing more rapidly than the one formed by the tap, and this motion had prevented it from freezing. He realised that if he could slow down the stream by digging channels to divert its flow, it too would freeze. For many people such an insight would remain little more than an amusing diversion, but Chewang was a civil engineer who had been applying his insights to agriculture for many years. Chewang was capable of thinking big. He realised that with a big enough stream and a big enough channel to divert it, he could have not just a small patch of ice, but a large artificial glacier. He would be able to make his own glacier, to replace the ones that Ladakh was losing due to climate change. He created his first glacier in the village of Phuktsey in 1987, at a cost of just 90,000 Indian rupees, or $1,350 USD. He has taught the local villagers to help in their construction, and together they have been making them ever since. 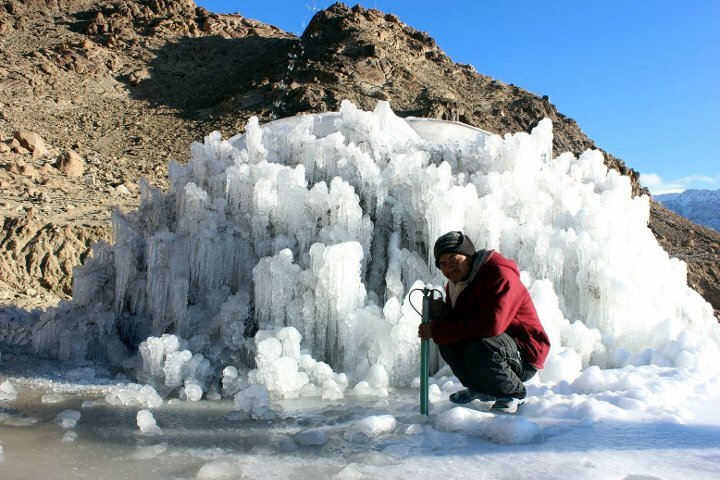 To date Chewang has supervised in the construction of fifteen artificial glaciers in various regions of Ladakh. The one near Phuktsey is now 1,000m long, 150m wide, with a depth of over a metre. 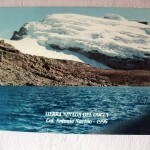 OK, that’s not a patch on a real glacier, but an artificial glacier has many benefits that a natural one doesn’t have. You can choose where to site it, near villages. 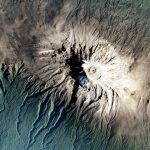 In this case Chewang has been able to create them at the comparatively low altitude of 4,000m, far below the natural glaciers which are only found above 5,500m, much too high for permanent habitation. These “low altitude” glaciers start melting in April, a couple of months before the natural ones, resulting in a longer growing season. This means villagers have been able to grow new crops like peas and potatoes, which sell for a much higher price than the more traditional wheat and barley. These lower glaciers have expanded the water table. This in turn has resulted in an increase in the number of trees, broadening the ecosystem. And if you still don’t believe me – if you think this story is as real as last month’s terrorist attack in Sweden – here’s a video, posted by the German news network Deutsche Welle (in English). The story doesn’t end there – Chewang Norphel is just one man, but his ideas have taken up by others. One of the things that made this story appealing to me was that it was set in Ladakh, a place where I have spent many happy weeks, and hope to return to one day. Ladakh’s capital Leh is like a relaxing version of Kathmandu. It’s modest town centre reminds me of Thamel, Kathmandu’s buzzing tourist heart. There are rooftops bars and restaurants, and shops selling trekking gear, which blast out Tibetan music. Bookshops and internet cafes can be found on every corner, and the mountains which surround the town are much closer than they are in Kathmandu. Ladakh is also a pocket of Tibetan Buddhism sandwiched between Hindu India and Muslim Pakistan. On my first visit there I spent a day looking around the various monasteries on hillsides in the surrounding countryside. One of the most recognisable symbols of Buddhism is the stupa, a dome-like structure crowned with a spire. You see them all over the Himalayas, from giant structures 40m high like the Boudhanath in Kathmandu, to miniature trailside versions you pass clockwise. What could be more appropriate then, than an ice stupa, built by another civil engineer called Sonam Wangchuk, sponsored by his local monastery. The ice stupa is a cone of ice rising two storeys high that doesn’t melt easily in the sun. 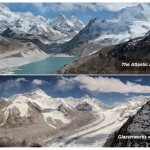 It is built using a different principle to Chewang’s glacier. Water is drawn from a nearby stream, through a pipe at a higher location to the cone. Water always maintains its level, so that water at the pipe’s outlet attempts to rise to the same level as the inlet. As it gushes out, it freezes almost immediately, and a cone (or stupa) of ice is formed. During my research I came across this fantastic video of Sonam explaining his work, along with his sponsor His Holiness Drukung Chetsang Rinpoche, one of the highest incarnate lamas in Buddhism behind the Dalai Lama (who lives just down the road in Dharamsala). The Rinpoche had 1,000 acres of barren desert near his monastery, and asked Sonam and his students to build a series of ice stupas there. Sonam raised over $100,000 for the Rinpoche’s ice stupas via the crowdfunding website Indiegogo. That campaign has now closed, but you can find out more about the Ice Stupa Project on their website. We are living through uncertain times, and it’s easy to get depressed reading the news or scrolling through Facebook. But the world is still an amazing place. With positive minds and ingenious solutions there is still plenty of hope for a peaceful, sustainable future. We need more stories like this, that are bizarre but true. Thanks for that Mark, a piece of interesting information we would never normally come across. 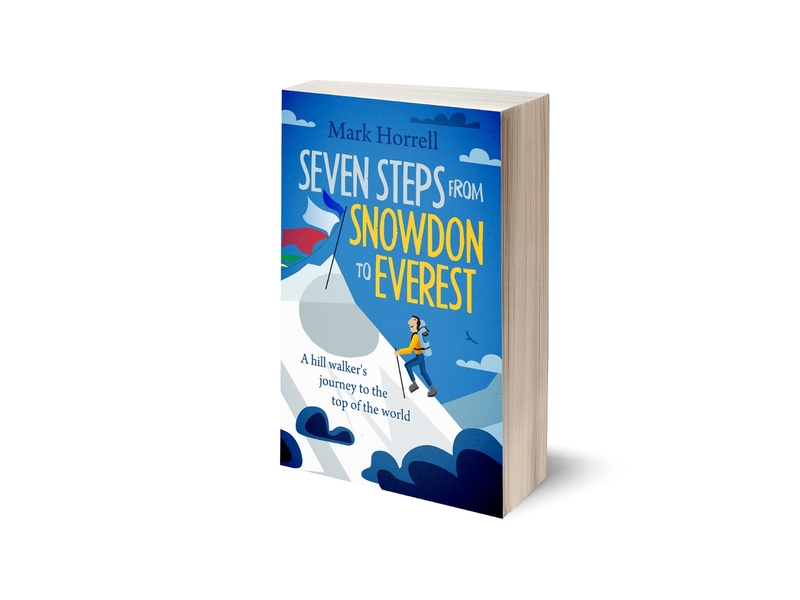 As ever, a great read to start the day with. your articles and your blog makes me happy ! i am an avid trekker from nepal and would like to be in touch with you !